As I just picked up an Apple HomePod speaker today – I thought it prudent to compare it to my normal “go to” ultra-flat studio/mixing speakers – The MunroSonic Egg 100. The MunroSonic Egg are famous for having a very flat sound image. That means they do not try to bias the sound in any way – good or bad. That is important when you mix sounds and create music for many people to play on many different devices. Consumer speakers generally tend to try to over boost bass and treble to make the sound “bigger” but ends up distorting the sound – and making your music sound no where near what the musicians intended. As my ears are older 😊 I needed to do a slightly scientific analysis as my ears can’t be trusted completely. 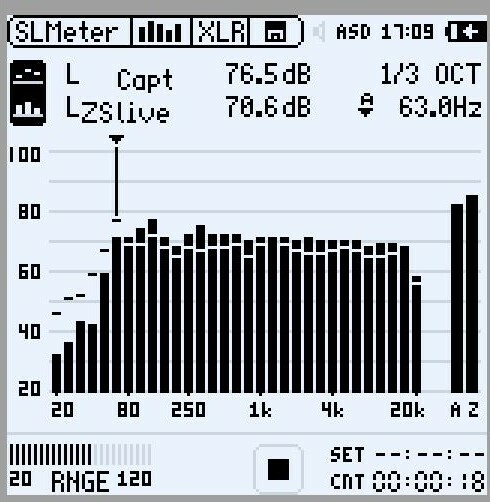 I know this has nothing to do with boating but this can serve as a starter for comparing marine speakers as well. The testing was done with an NTI Audio XL-2 Audio Analyzer with a high quality NTI M2230 microphone – and still within normal calibration. 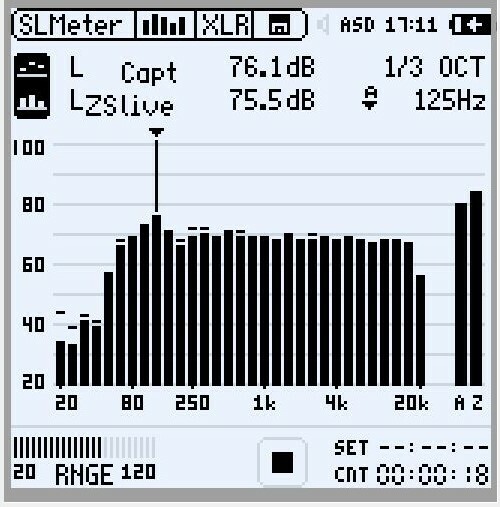 Apart from that prior to the test the XL-2 was calibrated with a 94dBM 1KHz test tone from a calibrator. Each of the speakers was sent a pink noise signal. The MunroSonic was feed from a RME Fireface UFX ultra high quality “sound card” connected to a computer. The Apple HomePod was feed through AirPlay with the same file but in pure digital format. The MunroSonic can be adjusted and calibrated but I left it at factory settings for a blank compare. 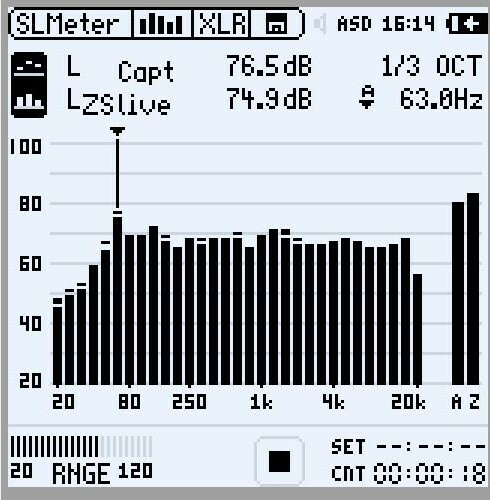 Output from each was set to “kiss” the 70dB mark – as close as I could dial it in. All other settings are factory settings. The Apple HomePod was allowed to sit for a while playing music – as it changes its audio output dependent on where in a room it is. So it was left for about 1 hour playing in the measurement position. After settling in – the measurements was done. Thick long bars are the MunroSonic Egg 100 and the thin lines on each bar is the is the results from the Apple HomePod. Comparing MunroSonic Egg 100 to Apple HomePod speaker. Both are very flat. MunroSonic slightly flatter – but HomePod have a bass advantage. As you can see they BOTH track sound very well. The curve is VERY flat for both. Slight advantage to the Egg’s but not a lot. The Apple have an advantage on the low bass – maybe something I can calibrate out of the MunroSonic. HomePod have a peak around 63 Hz where it shoots “a lot..” above where MunroSonic have a peak around 125 Hz where that shoots “a lot” above. So I am very impressed with Apples HomePod. It will not replace my MunroSonic’s for serious work – but it is made by people who wants to deliver top quality audio and it shows. It is a great entertainment speaker. I miss a plug where I could plug in my own wired “music” and I would have liked more “hard controls” and not leaving everything to SiRi. I can’t test the stereo perspective as that does not work yet (as in 2 HomePods acting as a set of stereo speakers) – but I can say the MunroSonic’s are GREAT stereo speakers but as all Studio Monitor speakers – the area where stereo is optimal is not huge. They work best adjusted straight at the person listening. And this is not a 100% controlled test in a sound dead environment. This is a Quick and Dirty test of the audio spectrum – and many can do it better than I. And many probably will. And now we have some comparable for future audio tests. I do not think there will be many who can come close on Marine Audio…. *All Images are (C) Marine-Review 2018 apart from Product images which are official manufacture images. Marine-Review images on can be used without prior permission as long as source is attributed, with link to this page.